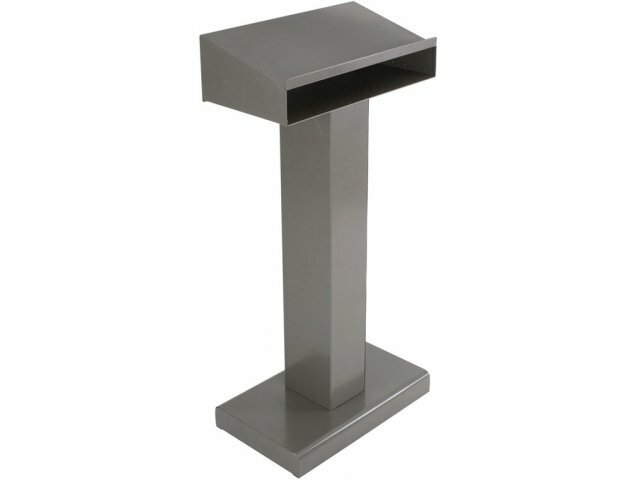 If you're looking for a podium that is super-strong with great style, you'll find it in this metal podium by Balt. 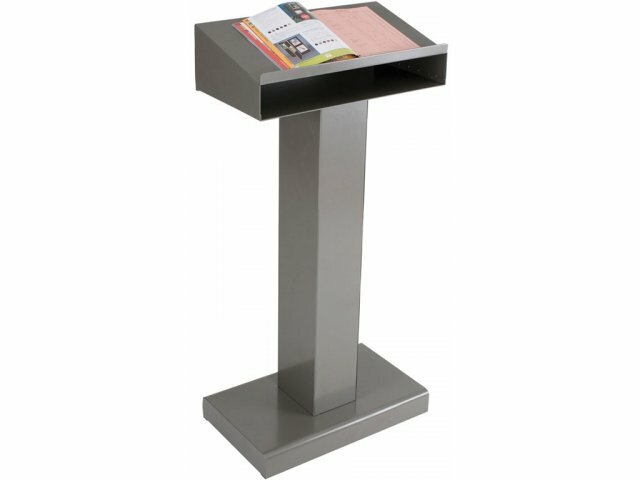 Constructed from 18-gauge steel panels with 16-gauge steel braces, this is a podium that can withstand constant everyday use in any school, office or industrial environment. 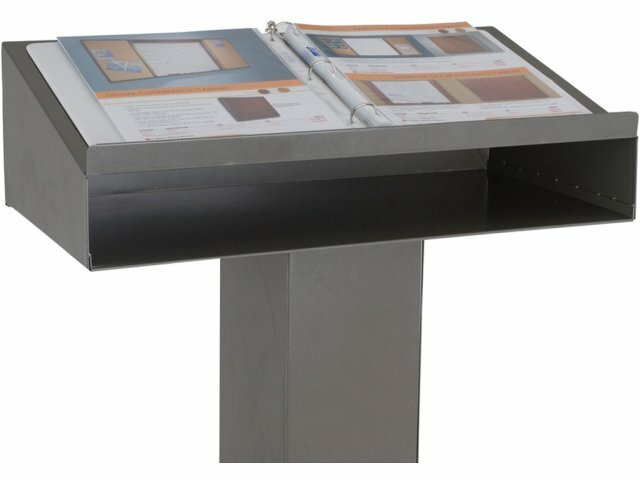 The top of this metal podium is extra-wide, offering plenty of room for binders, fact sheets, lecture notes and even large-sized laptops. If that's not sufficient, there is a front-access box opening for additional storage of presentation materials. The heavy-duty base is wider than usual and provides superior stability. Leveling glides are included to keep the unit even. 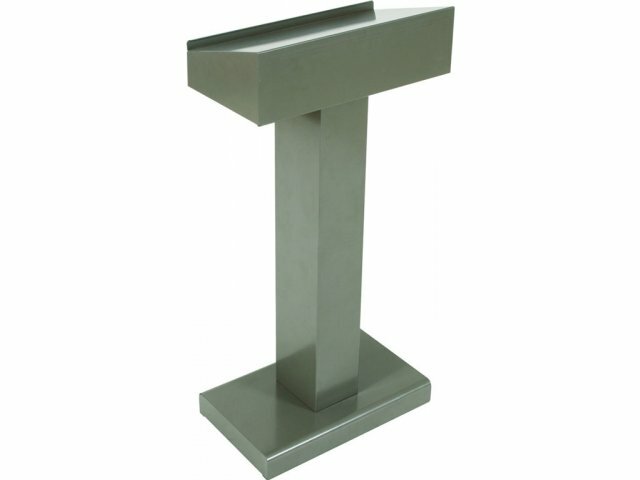 This metal lectern looks great, too. Sleek lines and a brushed-gray, powder-coat finish give it an impressive, high-tech look that is color-neutral to complement a variety of interior designs. With an assembly time of less than 15 minutes, this metal podium is slated to be a favorite of schools and businesses looking for an extra-strength product at an extra-fair cost. Unusually Strong: Made from 18- and 16-gauge steel panels and braces for unusual strength. Spacious Top: Top is extra-wide to accommodate lots of presentation material. Front-Access Box: The front-access storage box makes it easy to store and retrieve additional materials and/or accessories. Superb Stability: Wide base and leveling glides ensure superb stability. 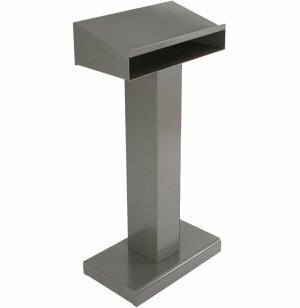 Modern Style: The brushed-gray color and sleek lines give this metal podium a modern, sophisticated look. Easy Assembly: Easy-to-follow instructions take under 15 minutes to complete.